Here’s a message my good friend State Representative George Moraitis. Thanks and best wishes to a wonderful Representative for Broward! 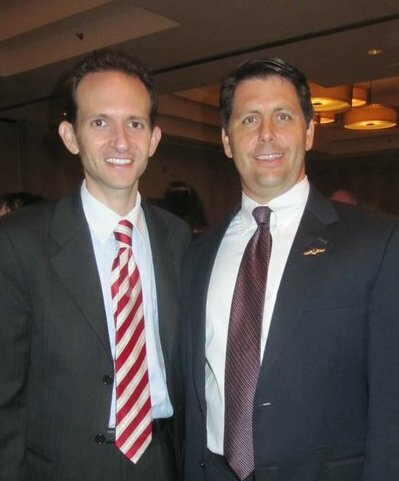 I’m writing to thank Richard DeNapoli for his outstanding service to our party as Chairman of the Broward Republican Executive Committee these past two years. We have all benefited from his leadership, dedication and organization in helping Republicans in our county get elected at all levels of government. We will miss Richard’s steady presence and enthusiasm, however I congratulate him on his professional opportunity and desire to spend time with his growing family. This was undoubtedly a difficult election for conservatives. Significant challenges lie ahead for our party to reach a changing electorate without compromising the founding principles of individual responsibility and limited government which helped make this nation a beacon of hope for the world. That said, Richard has done a great job during his term energizing our volunteers and making the case for getting conservatives elected. The next Chairman must be prepared to lead by example as Richard has in organizing our party to move forward. Let’s all thank Richard for his dedicated service and friendship as Chairman of our party. Fair Winds and Following Seas to Richard and his family. Thanks to RNC Co-Chair Sharon Day for her kind words. I wanted to take this opportunity to express my sincere thanks and heartfelt congratulations to our County Chairman Richard DeNapoli on his announcement regarding the new direction his career is taking him and his family. Richard has always stood firmly rooted in the principles of our Party and has spent his term as Chairman rebuilding the party and raising the funds, both federal and state, with a commitment to Republican success, at the municipal, county, state and national level. His dedication and energy on behalf of candidates will surely be missed. Leadership means making difficult decisions and often taking all of the blame and little or none of the success. Richard has led and has strived to make the Broward Republican Executive Committee an organization of pride and principles. Please join me in wishing Richard his wife Brigita and their son Victor, the best of luck and God’s blessing as they move on to the next set of challenges life has to offer. Sharon Day was elected Co-Chair of the Republican National Committee on January 14, 2011. From 2009-2011, she served as RNC Secretary and she has served at the grassroots level of our Party in Florida for more than 20 years. Sharon has been a member of the Broward County Republican Executive Committee since 1994 and State Committeewoman from Broward County since 1996. She served as Florida’s National Committeewoman to the RNC since 2004, and continues to hold that position today. Among other areas of her community service, Sharon was appointed to the Broward County Housing Authority on which she served as the Chairman and has served as a Commissioner on the Florida Commission on the Status of Women.